Today I will share everything you need to know about TNT rewards system, the mechanics, the points, and most specially the rewards. If you're a loyal Talk N Text subscriber rewards are just waiting for you. 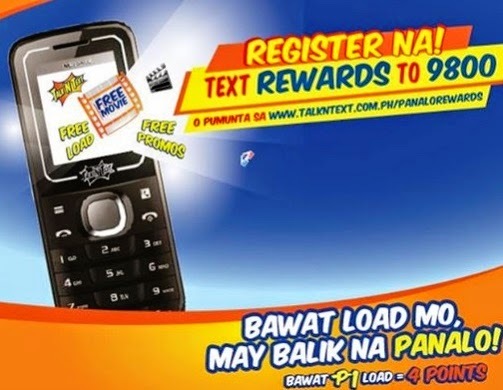 What are the perks of joining the Talk N Text REWARDS? You can get a movie pass on SM Cinemas with drink and popcorn. Redeem Krispy Kreme treats e-gift certificates and a whole lot more. Let's get familiar with the codes first! Zalora discount, and Splash Island discounts will soon be announced. Stay tuned for details. Kaya mag load na ng mag load mga Ka-Tropa, dahil bawat load nyo PANALO! Ung 88 points q dq man lang nagamit sobrang nkakainis! Everytime na magreredeem qa eto lagi ung reply sa kin ng 9800 "hindi naprocess ang iyong redemption. Rewards ay naibalik na sa'yo. Text ITEMS to 9800 para sa Rewards list" yan lagi narrcv q, ayuin nyo nga toh! Pleeaase! !